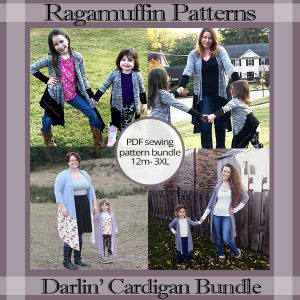 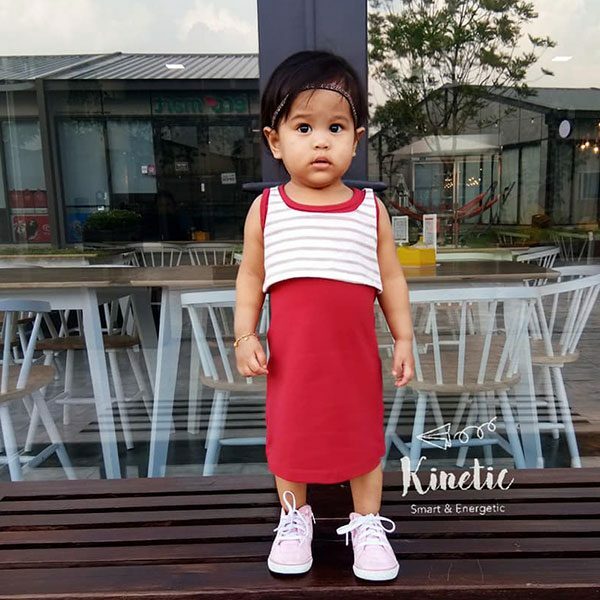 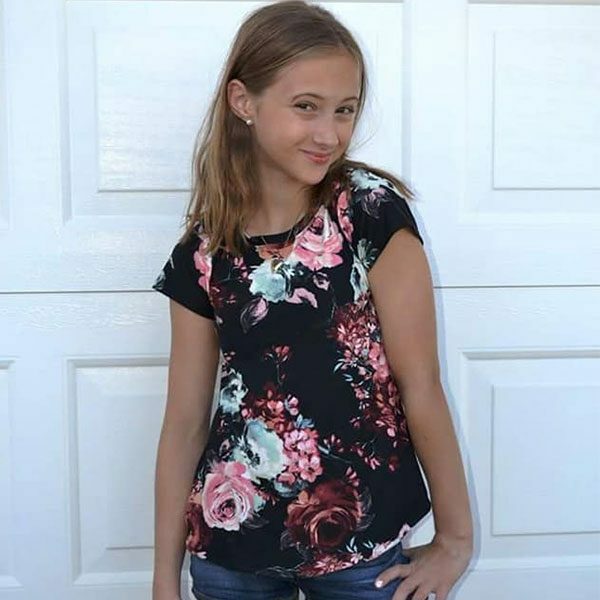 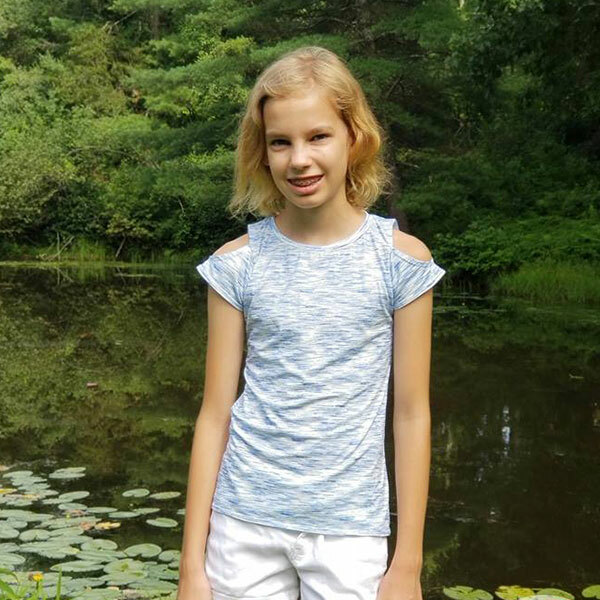 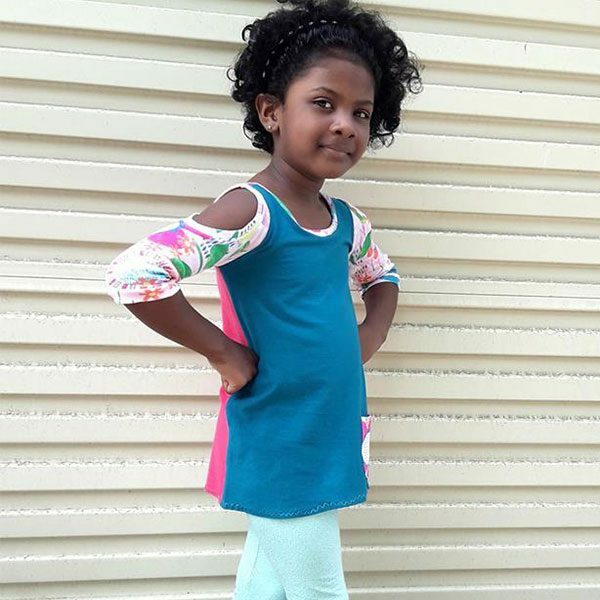 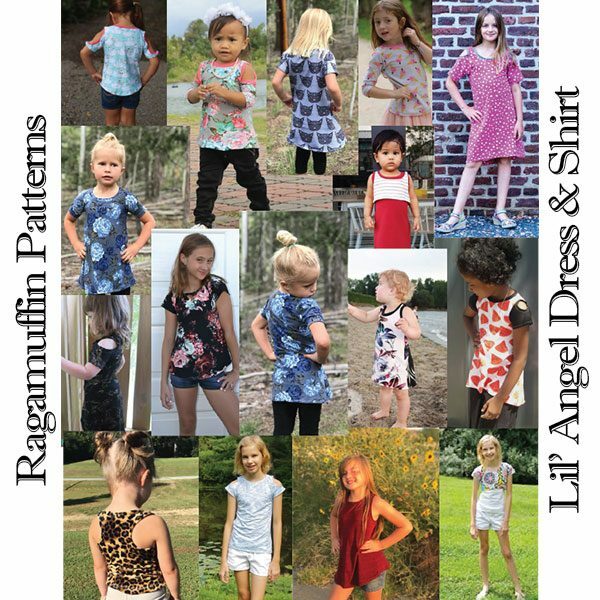 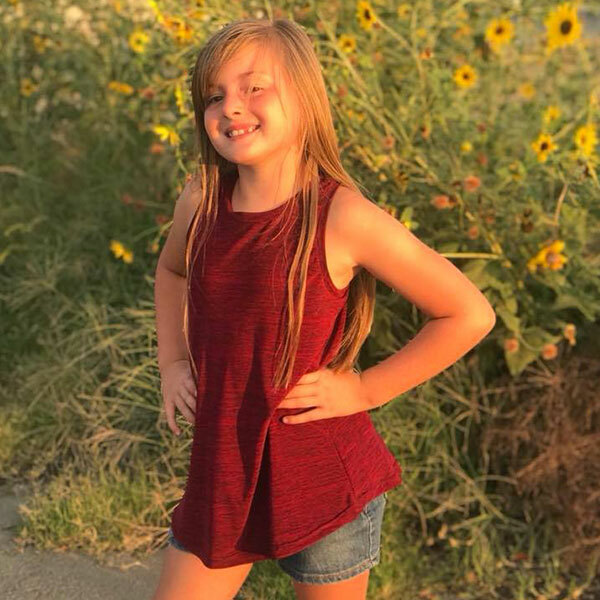 The Lil’ Angel top & dress is a pdf pattern with several options and style variations (see detailed list in descriptions below). 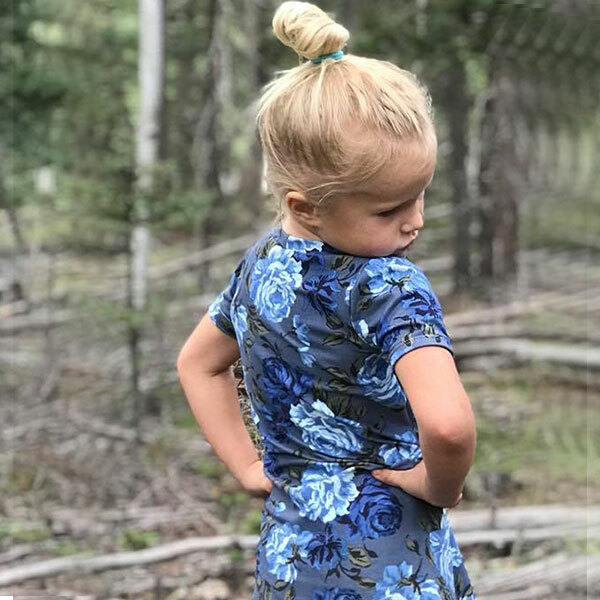 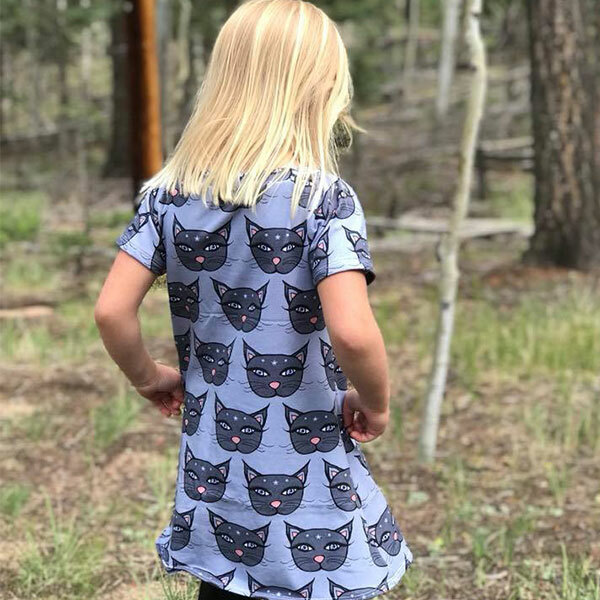 Designed for knit fabric with at least 25% horizontal & 25% vertical stretch, so it is perfect for play time, school time, or any occasion you’d like. 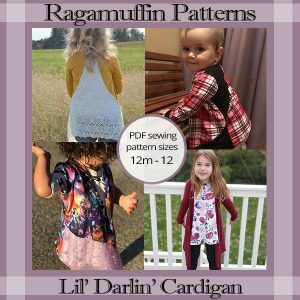 This pattern includes a written and picture tutorial ebook, US letter, A4, and AO size printable pattern, as well as layers for easy printing for just the size you need. 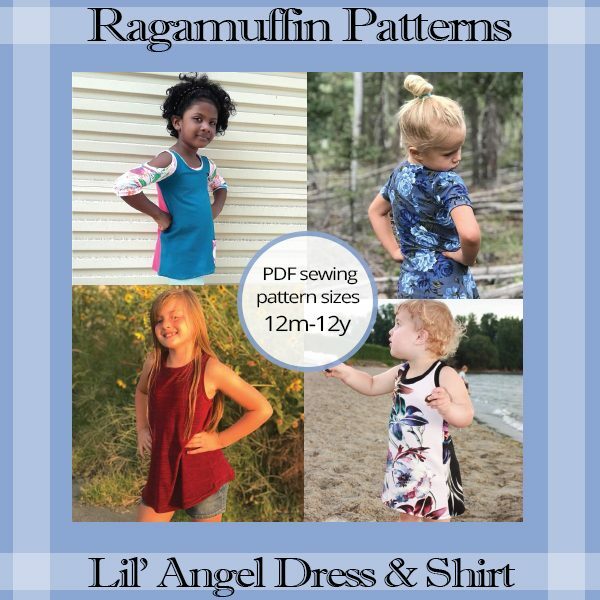 Lil’ Angel top & dress is a PDF sewing pattern with written and picture tutorial ebook. 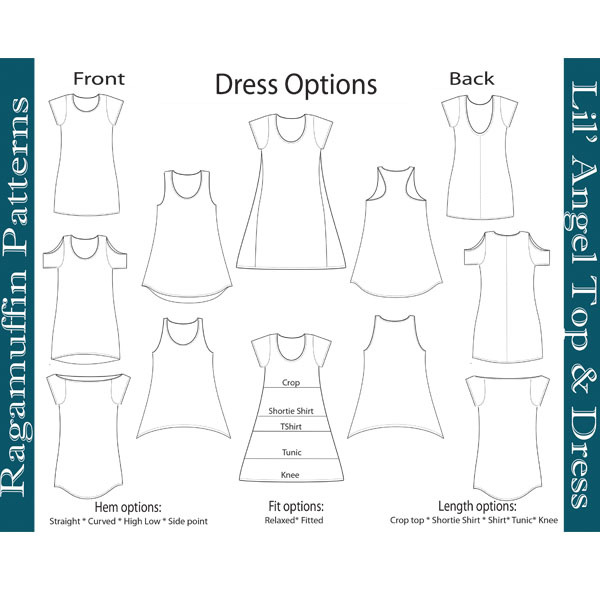 This is a very versatile dress pattern designed for knit fabrics. 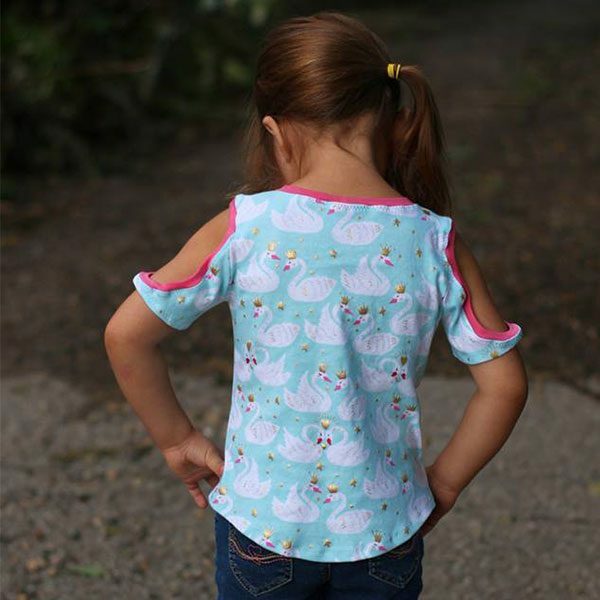 It come with a wide variety of different style options for endless possibilities. 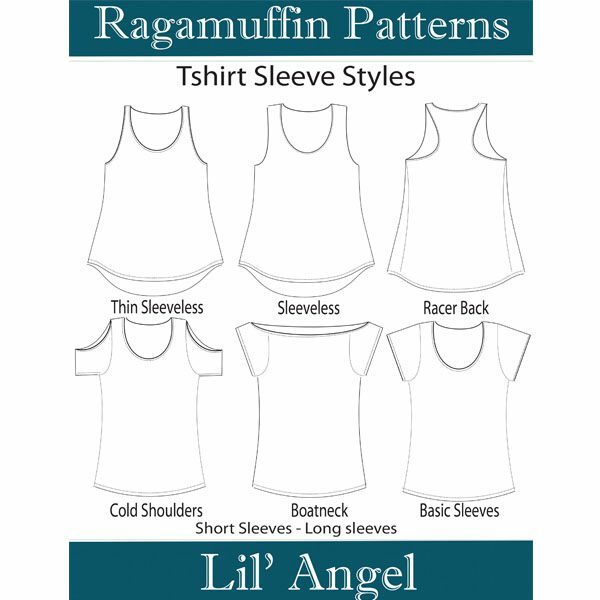 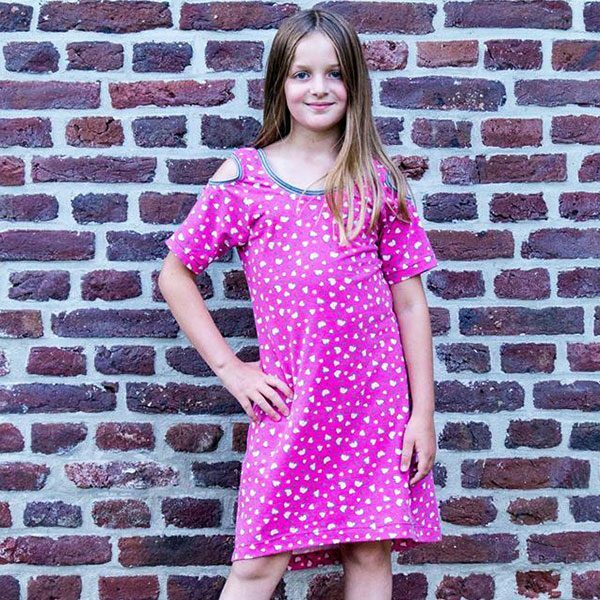 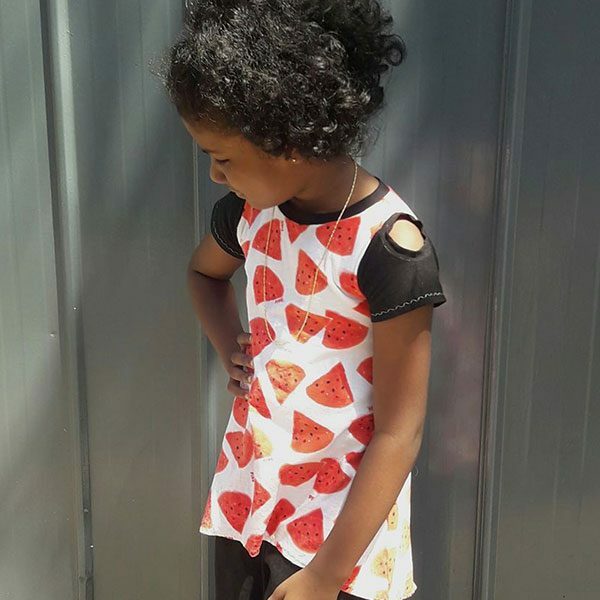 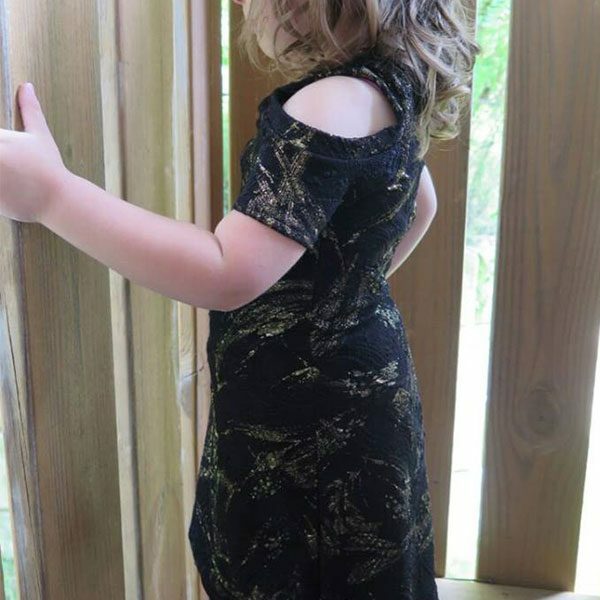 The pattern is drafted in sizes 12m-12y and has that wonderful layers feature for printing only the size(s) you need. 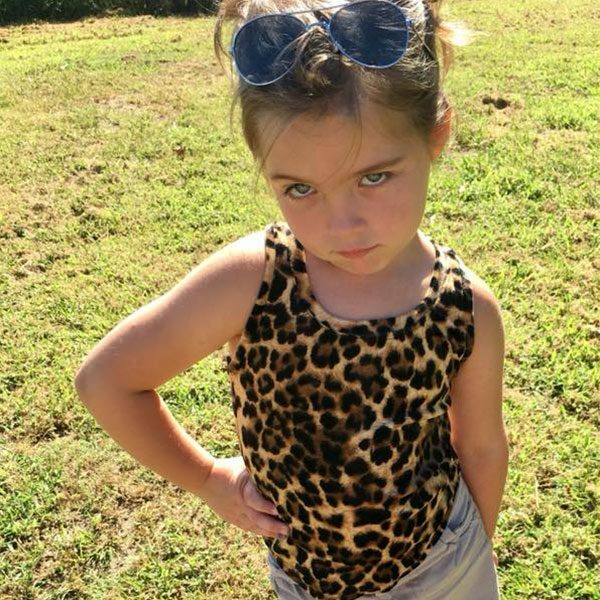 This The Lil’ Angle top & dress pattern is the child size version of my adult pattern Honky Tonk Angel. 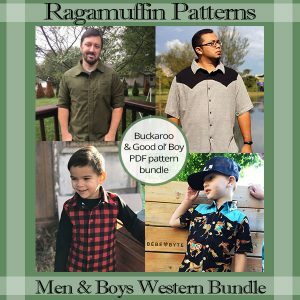 You can purchase both of the adult patterns in a bundle here. 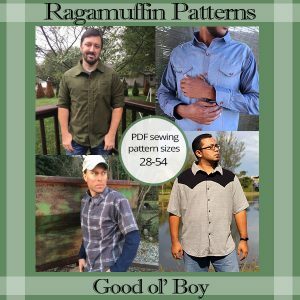 Designed for knit fabric with at least 25% horizontal & 25% vertical stretch. 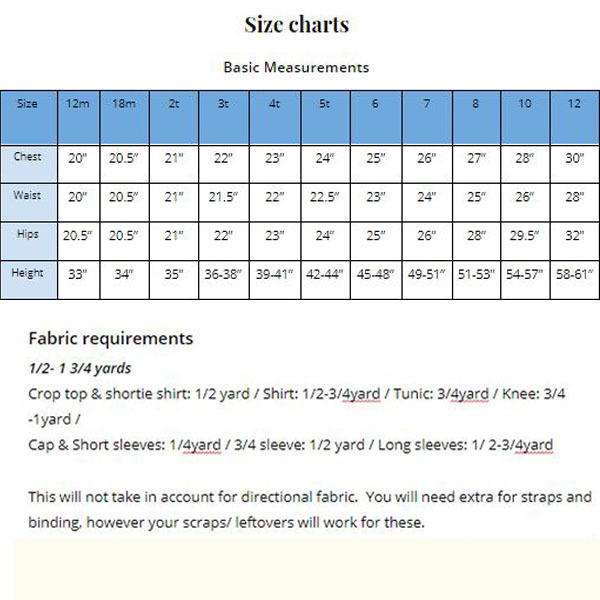 See picture gallery above for fabric requirements.